Chevrolet Nova - модельный ряд, комплектации, подробные технические характеристики по годам выпуска как новых, так и автомобилей с пробегом. Chevrolet Nova 1.6 AT 3AT Sedan 3AT 70 л.с. 1985 г. 1985 г.
Chevrolet Nova 1.6 AT 3AT Sedan 3AT 74 л.с. 1986 г. 1988 г.
Chevrolet Nova 1.6 AT 3AT Sedan 3AT 110 л.с. 1988 г. 1988 г.
Chevrolet Nova 1.6 MT 5MT Sedan 5MT 70 л.с. 1985 г. 1985 г.
Chevrolet Nova 1.6 MT 5MT Sedan 5MT 74 л.с. 1986 г. 1988 г.
Chevrolet Nova 1.6 MT 5MT Sedan 5MT 110 л.с. 1988 г. 1988 г.
Chevrolet Nova 2.5 MT 3MT Coupe 3MT 90 л.с. 1968 г. 1968 г.
Chevrolet Nova 2.5 MT 3MT Coupe 3MT 90 л.с. 1969 г. 1969 г.
Chevrolet Nova 2.5 MT 3MT Coupe 3MT 90 л.с. 1970 г. 1972 г.
Chevrolet Nova 2.5 MT 3MT Sedan 3MT 90 л.с. 1968 г. 1968 г.
Chevrolet Nova 2.5 MT 3MT Sedan 3MT 90 л.с. 1970 г. 1972 г.
Chevrolet Nova 2.5 Powerglide 2AT Coupe 2AT 90 л.с. 1968 г. 1968 г.
Chevrolet Nova 2.5 Powerglide 2AT Coupe 2AT 90 л.с. 1969 г. 1969 г.
Chevrolet Nova 2.5 Powerglide 2AT Sedan 2AT 90 л.с. 1968 г. 1968 г.
Chevrolet Nova 2.5 Powerglide 3AT Cabriolet 3AT 90 л.с. 1962 г. 1962 г.
Chevrolet Nova 2.5 Powerglide 3AT Cabriolet 3AT 90 л.с. 1963 г. 1963 г.
Chevrolet Nova 2.5 Powerglide 3AT Coupe 3AT 90 л.с. 1962 г. 1962 г.
Chevrolet Nova 2.5 Powerglide 3AT Coupe 3AT 90 л.с. 1963 г. 1963 г.
Chevrolet Nova 2.5 Powerglide 3AT Sedan 3AT 90 л.с. 1962 г. 1962 г.
Chevrolet Nova 2.5 Powerglide 3AT Sedan 3AT 90 л.с. 1963 г. 1963 г.
Chevrolet Nova 2.5 Synchromesh 3MT Cabriolet 3MT 90 л.с. 1962 г. 1962 г.
Chevrolet Nova 2.5 Synchromesh 3MT Cabriolet 3MT 90 л.с. 1963 г. 1963 г.
Chevrolet Nova 2.5 Synchromesh 3MT Coupe 3MT 90 л.с. 1962 г. 1962 г.
Chevrolet Nova 2.5 Synchromesh 3MT Coupe 3MT 90 л.с. 1963 г. 1963 г.
Chevrolet Nova 2.5 Synchromesh 3MT Sedan 3MT 90 л.с. 1962 г. 1962 г.
Chevrolet Nova 2.5 Synchromesh 3MT Sedan 3MT 90 л.с. 1963 г. 1963 г.
Chevrolet Nova 2.5 Torque-Drive 2AT Coupe 2AT 90 л.с. 1970 г. 1972 г.
Chevrolet Nova 2.5 Torque-Drive 2AT Sedan 2AT 90 л.с. 1970 г. 1972 г.
Chevrolet Nova 3.2 Powerglide 2AT Coupe 2AT 120 л.с. 1966 г. 1966 г.
Chevrolet Nova 3.2 Powerglide 2AT Coupe 2AT 120 л.с. 1967 г. 1967 г.
Chevrolet Nova 3.2 Powerglide 2AT Sedan 2AT 120 л.с. 1966 г. 1966 г.
Chevrolet Nova 3.2 Powerglide 2AT Sedan 2AT 120 л.с. 1967 г. 1967 г.
Chevrolet Nova 3.2 Powerglide 2AT Wagon 2AT 120 л.с. 1966 г. 1966 г.
Chevrolet Nova 3.2 Powerglide 2AT Wagon 2AT 120 л.с. 1967 г. 1967 г.
Chevrolet Nova 3.2 Powerglide 3AT Cabriolet 3AT 120 л.с. 1962 г. 1962 г.
Chevrolet Nova 3.2 Powerglide 3AT Cabriolet 3AT 120 л.с. 1963 г. 1963 г.
Chevrolet Nova 3.2 Powerglide 3AT Coupe 3AT 120 л.с. 1962 г. 1962 г.
Chevrolet Nova 3.2 Powerglide 3AT Coupe 3AT 120 л.с. 1963 г. 1963 г.
Chevrolet Nova 3.2 Powerglide 3AT Coupe 3AT 120 л.с. 1965 г. 1965 г.
Chevrolet Nova 3.2 Powerglide 3AT Sedan 3AT 120 л.с. 1962 г. 1962 г.
Chevrolet Nova 3.2 Powerglide 3AT Sedan 3AT 120 л.с. 1963 г. 1963 г.
Chevrolet Nova 3.2 Powerglide 3AT Sedan 3AT 120 л.с. 1964 г. 1964 г.
Chevrolet Nova 3.2 Powerglide 3AT Sedan 3AT 120 л.с. 1965 г. 1965 г.
Chevrolet Nova 3.2 Powerglide 3AT Wagon 3AT 120 л.с. 1963 г. 1963 г.
Chevrolet Nova 3.2 Powerglide 3AT Wagon 3AT 120 л.с. 1964 г. 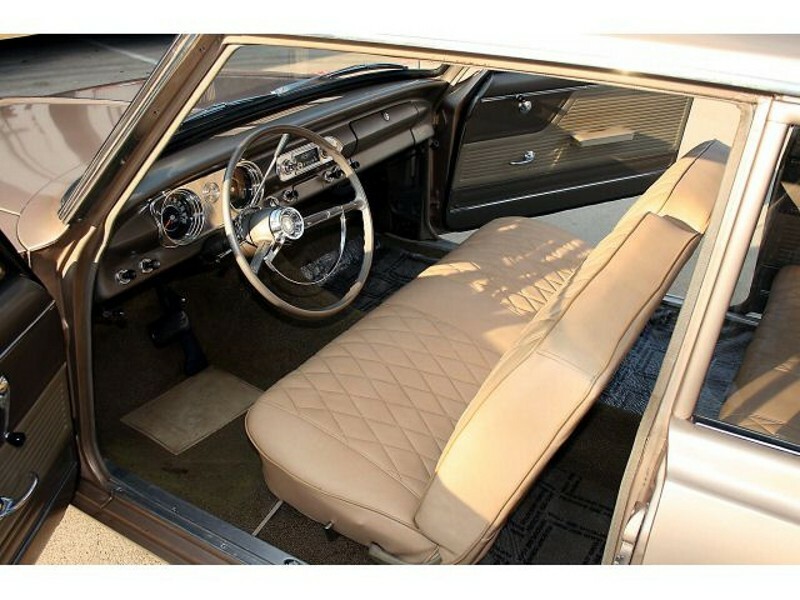 1964 г.
Chevrolet Nova 3.2 Synchromesh 3MT Cabriolet 3MT 120 л.с. 1962 г. 1962 г.
Chevrolet Nova 3.2 Synchromesh 3MT Cabriolet 3MT 120 л.с. 1963 г. 1963 г.
Chevrolet Nova 3.2 Synchromesh 3MT Coupe 3MT 120 л.с. 1962 г. 1962 г.
Chevrolet Nova 3.2 Synchromesh 3MT Coupe 3MT 120 л.с. 1963 г. 1963 г.
Chevrolet Nova 3.2 Synchromesh 3MT Coupe 3MT 120 л.с. 1965 г. 1965 г.
Chevrolet Nova 3.2 Synchromesh 3MT Coupe 3MT 120 л.с. 1966 г. 1966 г.
Chevrolet Nova 3.2 Synchromesh 3MT Coupe 3MT 120 л.с. 1967 г. 1967 г.
Chevrolet Nova 3.2 Synchromesh 3MT Sedan 3MT 120 л.с. 1962 г. 1962 г.
Chevrolet Nova 3.2 Synchromesh 3MT Sedan 3MT 120 л.с. 1963 г. 1963 г.
Chevrolet Nova 3.2 Synchromesh 3MT Sedan 3MT 120 л.с. 1964 г. 1964 г.
Chevrolet Nova 3.2 Synchromesh 3MT Sedan 3MT 120 л.с. 1965 г. 1965 г.
Chevrolet Nova 3.2 Synchromesh 3MT Sedan 3MT 120 л.с. 1966 г. 1966 г.
Chevrolet Nova 3.2 Synchromesh 3MT Sedan 3MT 120 л.с. 1967 г. 1967 г.
Chevrolet Nova 3.2 Synchromesh 3MT Wagon 3MT 120 л.с. 1963 г. 1963 г.
Chevrolet Nova 3.2 Synchromesh 3MT Wagon 3MT 120 л.с. 1964 г. 1964 г.
Chevrolet Nova 3.2 Synchromesh 3MT Wagon 3MT 120 л.с. 1966 г. 1966 г.
Chevrolet Nova 3.2 Synchromesh 3MT Wagon 3MT 120 л.с. 1967 г. 1967 г.
Chevrolet Nova 3.8 MT 3MT Coupe 3MT 140 л.с. 1968 г. 1968 г.
Chevrolet Nova 3.8 MT 3MT Coupe 3MT 140 л.с. 1969 г. 1969 г.
Chevrolet Nova 3.8 MT 3MT Coupe 3MT 140 л.с. 1970 г. 1972 г.
Chevrolet Nova 3.8 MT 3MT Sedan 3MT 140 л.с. 1968 г. 1968 г.
Chevrolet Nova 3.8 MT 3MT Sedan 3MT 140 л.с. 1970 г. 1972 г.
Chevrolet Nova 3.8 Powerglide 2AT Coupe 2AT 140 л.с. 1966 г. 1966 г.
Chevrolet Nova 3.8 Powerglide 2AT Coupe 2AT 140 л.с. 1968 г. 1968 г.
Chevrolet Nova 3.8 Powerglide 2AT Coupe 2AT 140 л.с. 1969 г. 1969 г.
Chevrolet Nova 3.8 Powerglide 2AT Coupe 2AT 140 л.с. 1970 г. 1972 г.
Chevrolet Nova 3.8 Powerglide 2AT Sedan 2AT 140 л.с. 1966 г. 1966 г.
Chevrolet Nova 3.8 Powerglide 2AT Sedan 2AT 140 л.с. 1968 г. 1968 г.
Chevrolet Nova 3.8 Powerglide 2AT Sedan 2AT 140 л.с. 1970 г. 1972 г.
Chevrolet Nova 3.8 Powerglide 2AT Wagon 2AT 140 л.с. 1966 г. 1966 г.
Chevrolet Nova 3.8 Powerglide 3AT Coupe 3AT 140 л.с. 1965 г. 1965 г.
Chevrolet Nova 3.8 Powerglide 3AT Sedan 3AT 155 л.с. 1964 г. 1964 г.
Chevrolet Nova 3.8 Powerglide 3AT Sedan 3AT 140 л.с. 1965 г. 1965 г.
Chevrolet Nova 3.8 Powerglide 3AT Wagon 3AT 155 л.с. 1964 г. 1964 г.
Chevrolet Nova 3.8 Synchromesh 3MT Coupe 3MT 140 л.с. 1965 г. 1965 г.
Chevrolet Nova 3.8 Synchromesh 3MT Coupe 3MT 140 л.с. 1966 г. 1966 г.
Chevrolet Nova 3.8 Synchromesh 3MT Sedan 3MT 155 л.с. 1964 г. 1964 г.
Chevrolet Nova 3.8 Synchromesh 3MT Sedan 3MT 140 л.с. 1965 г. 1965 г.
Chevrolet Nova 3.8 Synchromesh 3MT Sedan 3MT 140 л.с. 1966 г. 1966 г.
Chevrolet Nova 3.8 Synchromesh 3MT Wagon 3MT 155 л.с. 1964 г. 1964 г.
Chevrolet Nova 3.8 Synchromesh 3MT Wagon 3MT 140 л.с. 1966 г. 1966 г.
Chevrolet Nova 3.8 Turbo Hydra-Matic 3AT Coupe 3AT 140 л.с. 1969 г. 1969 г.
Chevrolet Nova 3.8 Turbo Hydra-Matic 3AT Coupe 3AT 140 л.с. 1970 г. 1972 г.
Chevrolet Nova 3.8 Turbo Hydra-Matic 3AT Sedan 3AT 140 л.с. 1970 г. 1972 г.
Chevrolet Nova 4.1 AT 3AT Coupe 3AT 115 л.с. 1979 г. 1979 г.
Chevrolet Nova 4.1 AT 3AT Coupe 3AT 90 л.с. 1979 г. 1979 г.
Chevrolet Nova 4.1 AT 3AT Sedan 3AT 115 л.с. 1979 г. 1979 г.
Chevrolet Nova 4.1 AT 3AT Sedan 3AT 90 л.с. 1979 г. 1979 г.
Chevrolet Nova 4.1 MT 3MT 2dr Coupe 3MT 105 л.с. 1976 г. 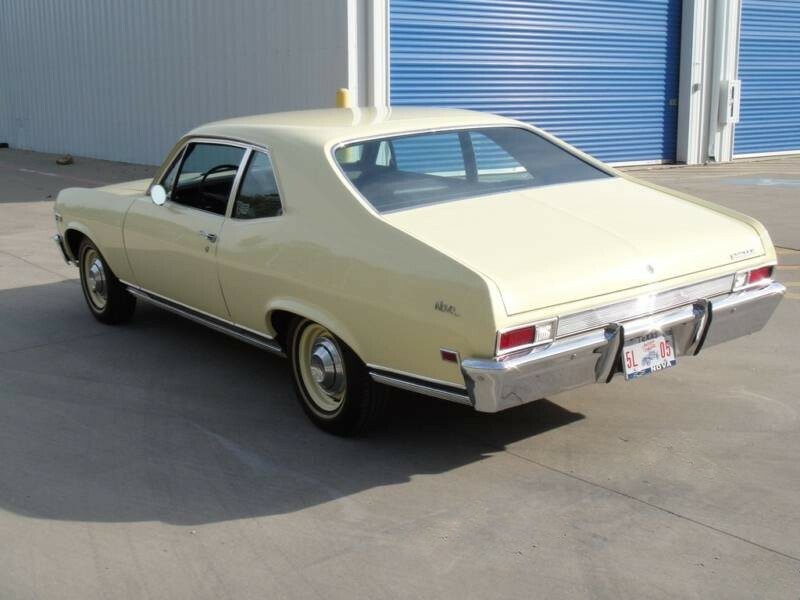 1976 г.
Chevrolet Nova 4.1 MT 3MT 2dr Coupe 3MT 110 л.с. 1977 г. 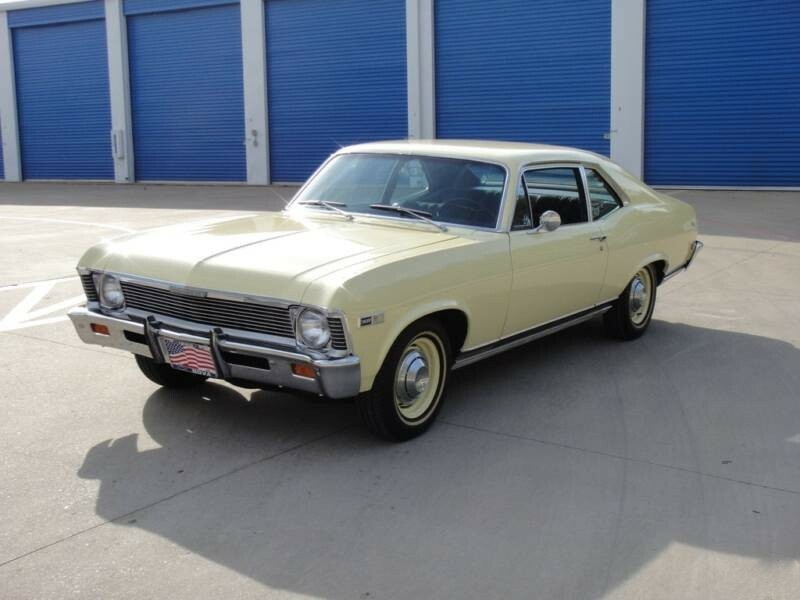 1977 г.
Chevrolet Nova 4.1 MT 3MT 2dr Coupe 3MT 90 л.с. 1977 г. 1977 г.
Chevrolet Nova 4.1 MT 3MT 4dr Sedan 3MT 105 л.с. 1976 г. 1976 г.
Chevrolet Nova 4.1 MT 3MT 4dr Sedan 3MT 110 л.с. 1977 г. 1977 г.
Chevrolet Nova 4.1 MT 3MT 4dr Sedan 3MT 90 л.с. 1977 г. 1977 г.
Chevrolet Nova 4.1 MT 3MT Coupe 3MT 155 л.с. 1968 г. 1968 г.
Chevrolet Nova 4.1 MT 3MT Coupe 3MT 155 л.с. 1969 г. 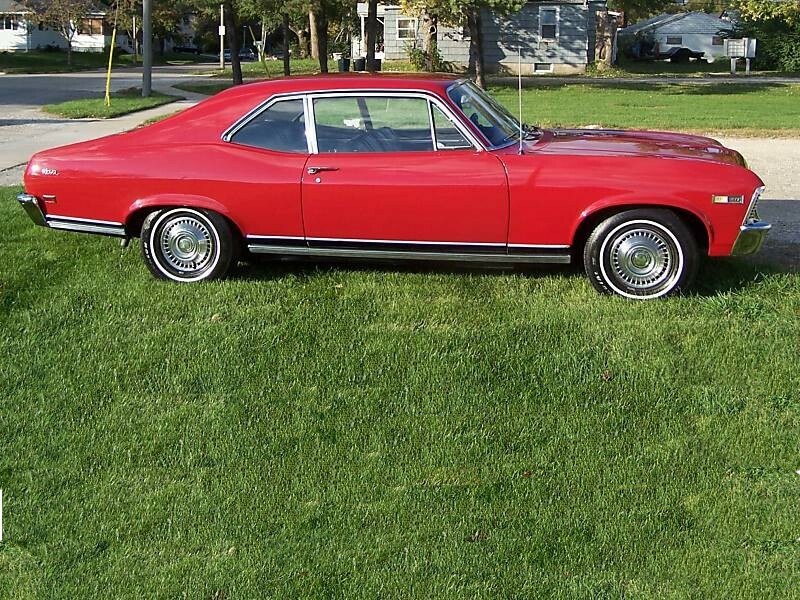 1969 г.
Chevrolet Nova 4.1 MT 3MT Coupe 3MT 155 л.с. 1970 г. 1972 г.
Chevrolet Nova 4.1 MT 3MT Coupe 3MT 100 л.с. 1973 г. 1974 г.
Chevrolet Nova 4.1 MT 3MT Coupe 3MT 100 л.с. 1975 г. 1975 г.
Chevrolet Nova 4.1 MT 3MT Coupe 3MT 115 л.с. 1979 г. 1979 г.
Chevrolet Nova 4.1 MT 3MT Coupe 3MT 90 л.с. 1979 г. 1979 г.
Chevrolet Nova 4.1 MT 3MT Sedan 3MT 155 л.с. 1968 г. 1968 г.
Chevrolet Nova 4.1 MT 3MT Sedan 3MT 155 л.с. 1970 г. 1972 г.
Chevrolet Nova 4.1 MT 3MT Sedan 3MT 100 л.с. 1973 г. 1974 г.
Chevrolet Nova 4.1 MT 3MT Sedan 3MT 100 л.с. 1975 г. 1975 г.
Chevrolet Nova 4.1 MT 3MT Sedan 3MT 110 л.с. 1978 г. 1978 г.
Chevrolet Nova 4.1 MT 3MT Sedan 3MT 90 л.с. 1978 г. 1978 г.
Chevrolet Nova 4.1 MT 3MT Sedan 3MT 115 л.с. 1979 г. 1979 г.
Chevrolet Nova 4.1 MT 3MT Sedan 3MT 90 л.с. 1979 г. 1979 г.
Chevrolet Nova 4.1 Powerglide 2AT Coupe 2AT 155 л.с. 1967 г. 1967 г.
Chevrolet Nova 4.1 Powerglide 2AT Coupe 2AT 155 л.с. 1968 г. 1968 г.
Chevrolet Nova 4.1 Powerglide 2AT Coupe 2AT 155 л.с. 1969 г. 1969 г.
Chevrolet Nova 4.1 Powerglide 2AT Coupe 2AT 155 л.с. 1970 г. 1972 г.
Chevrolet Nova 4.1 Powerglide 2AT Coupe 2AT 100 л.с. 1973 г. 1974 г.
Chevrolet Nova 4.1 Powerglide 2AT Sedan 2AT 155 л.с. 1967 г. 1967 г.
Chevrolet Nova 4.1 Powerglide 2AT Sedan 2AT 155 л.с. 1968 г. 1968 г.
Chevrolet Nova 4.1 Powerglide 2AT Sedan 2AT 155 л.с. 1970 г. 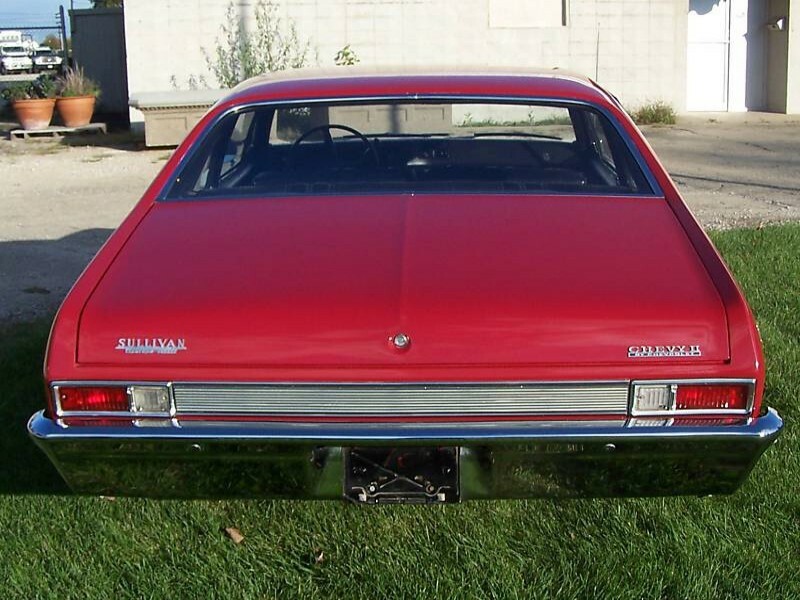 1972 г.
Chevrolet Nova 4.1 Powerglide 2AT Sedan 2AT 100 л.с. 1973 г. 1974 г.
Chevrolet Nova 4.1 Powerglide 2AT Wagon 2AT 155 л.с. 1967 г. 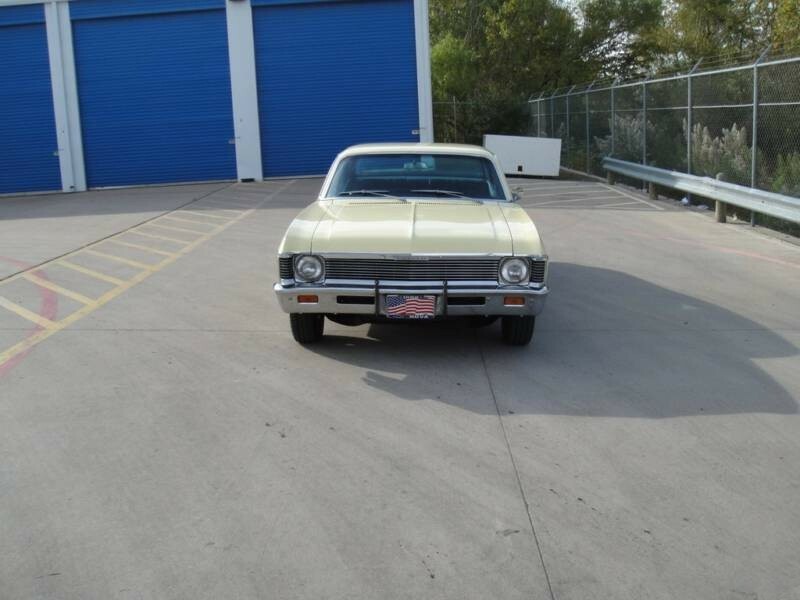 1967 г.
Chevrolet Nova 4.1 Synchromesh 3MT Coupe 3MT 155 л.с. 1967 г. 1967 г.
Chevrolet Nova 4.1 Synchromesh 3MT Sedan 3MT 155 л.с. 1967 г. 1967 г.
Chevrolet Nova 4.1 Synchromesh 3MT Wagon 3MT 155 л.с. 1967 г. 1967 г.
Chevrolet Nova 4.1 Turbo Hydra-Matic 3AT 2dr Coupe 3AT 105 л.с. 1976 г. 1976 г.
Chevrolet Nova 4.1 Turbo Hydra-Matic 3AT 2dr Coupe 3AT 110 л.с. 1977 г. 1977 г.
Chevrolet Nova 4.1 Turbo Hydra-Matic 3AT 2dr Coupe 3AT 90 л.с. 1977 г. 1977 г.
Chevrolet Nova 4.1 Turbo Hydra-Matic 3AT 4dr Sedan 3AT 105 л.с. 1976 г. 1976 г.
Chevrolet Nova 4.1 Turbo Hydra-Matic 3AT 4dr Sedan 3AT 110 л.с. 1977 г. 1977 г.
Chevrolet Nova 4.1 Turbo Hydra-Matic 3AT 4dr Sedan 3AT 90 л.с. 1977 г. 1977 г.
Chevrolet Nova 4.1 Turbo Hydra-Matic 3AT Coupe 3AT 155 л.с. 1969 г. 1969 г.
Chevrolet Nova 4.1 Turbo Hydra-Matic 3AT Coupe 3AT 155 л.с. 1970 г. 1972 г.
Chevrolet Nova 4.1 Turbo Hydra-Matic 3AT Coupe 3AT 100 л.с. 1975 г. 1975 г.
Chevrolet Nova 4.1 Turbo Hydra-Matic 3AT Sedan 3AT 155 л.с. 1970 г. 1972 г.
Chevrolet Nova 4.1 Turbo Hydra-Matic 3AT Sedan 3AT 100 л.с. 1975 г. 1975 г.
Chevrolet Nova 4.1 Turbo Hydra-Matic 3AT Sedan 3AT 110 л.с. 1978 г. 1978 г.
Chevrolet Nova 4.1 Turbo Hydra-Matic 3AT Sedan 3AT 90 л.с. 1978 г. 1978 г.
Chevrolet Nova 4.3 MT 3MT Coupe 3MT 110 л.с. 1975 г. 1975 г.
Chevrolet Nova 4.3 MT 3MT Sedan 3MT 110 л.с. 1975 г. 1975 г.
Chevrolet Nova 4.3 Turbo Hydra-Matic 3AT Coupe 3AT 110 л.с. 1975 г. 1975 г.
Chevrolet Nova 4.3 Turbo Hydra-Matic 3AT Sedan 3AT 110 л.с. 1975 г. 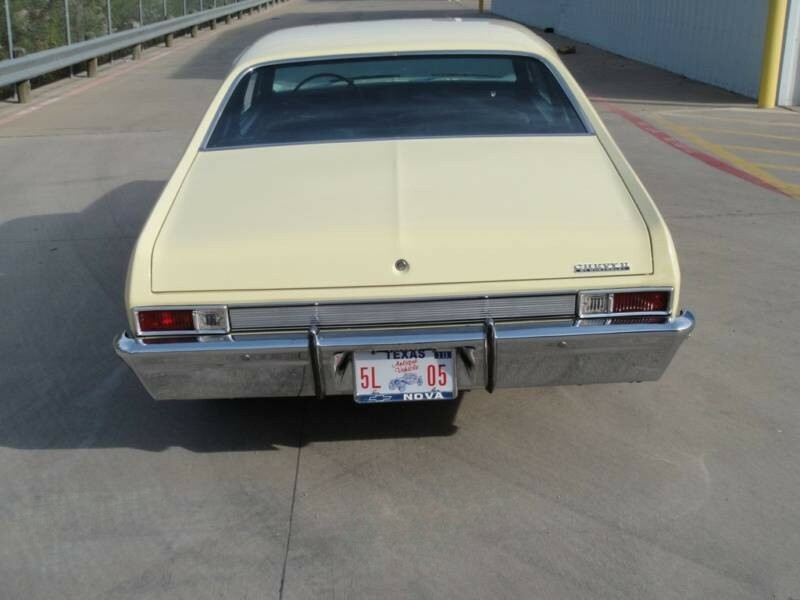 1975 г.
Chevrolet Nova 4.6 3Synchromesh 3MT Coupe 3MT 195 л.с. 1965 г. 1965 г.
Chevrolet Nova 4.6 3Synchromesh 3MT Coupe 3MT 220 л.с. 1965 г. 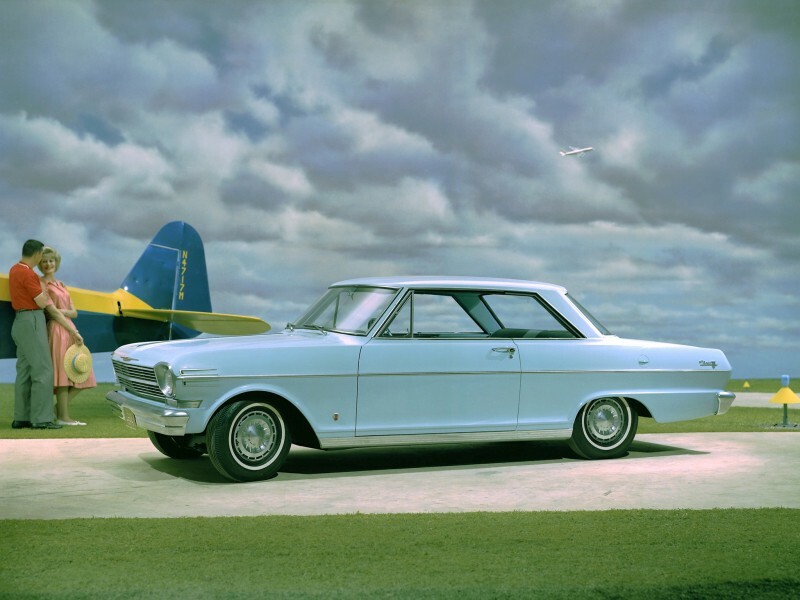 1965 г.
Chevrolet Nova 4.6 3Synchromesh 3MT Coupe 3MT 195 л.с. 1966 г. 1966 г.
Chevrolet Nova 4.6 3Synchromesh 3MT Coupe 3MT 220 л.с. 1966 г. 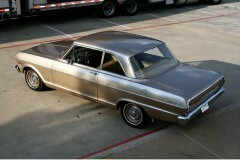 1966 г.
Chevrolet Nova 4.6 3Synchromesh 3MT Coupe 3MT 195 л.с. 1967 г. 1967 г.
Chevrolet Nova 4.6 3Synchromesh 3MT Sedan 3MT 195 л.с. 1964 г. 1964 г.
Chevrolet Nova 4.6 3Synchromesh 3MT Sedan 3MT 195 л.с. 1965 г. 1965 г.
Chevrolet Nova 4.6 3Synchromesh 3MT Sedan 3MT 220 л.с. 1965 г. 1965 г.
Chevrolet Nova 4.6 3Synchromesh 3MT Sedan 3MT 195 л.с. 1966 г. 1966 г.
Chevrolet Nova 4.6 3Synchromesh 3MT Sedan 3MT 220 л.с. 1966 г. 1966 г.
Chevrolet Nova 4.6 3Synchromesh 3MT Sedan 3MT 195 л.с. 1967 г. 1967 г.
Chevrolet Nova 4.6 3Synchromesh 3MT Wagon 3MT 195 л.с. 1964 г. 1964 г.
Chevrolet Nova 4.6 3Synchromesh 3MT Wagon 3MT 195 л.с. 1966 г. 1966 г.
Chevrolet Nova 4.6 3Synchromesh 3MT Wagon 3MT 220 л.с. 1966 г. 1966 г.
Chevrolet Nova 4.6 3Synchromesh 3MT Wagon 3MT 195 л.с. 1967 г. 1967 г.
Chevrolet Nova 4.6 4Synchromesh 4MT Coupe 4MT 195 л.с. 1965 г. 1965 г.
Chevrolet Nova 4.6 4Synchromesh 4MT Coupe 4MT 220 л.с. 1965 г. 1965 г.
Chevrolet Nova 4.6 4Synchromesh 4MT Coupe 4MT 195 л.с. 1966 г. 1966 г.
Chevrolet Nova 4.6 4Synchromesh 4MT Coupe 4MT 220 л.с. 1966 г. 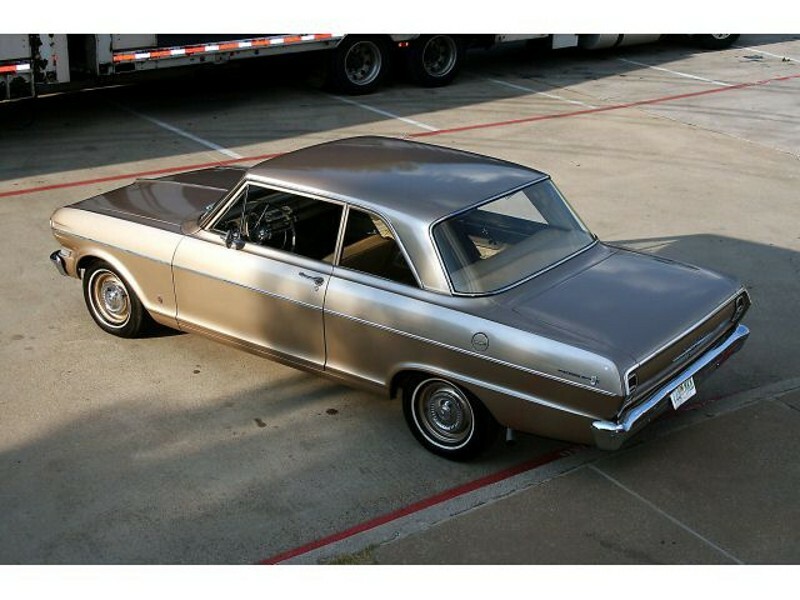 1966 г.
Chevrolet Nova 4.6 4Synchromesh 4MT Coupe 4MT 195 л.с. 1967 г. 1967 г.
Chevrolet Nova 4.6 4Synchromesh 4MT Sedan 4MT 195 л.с. 1964 г. 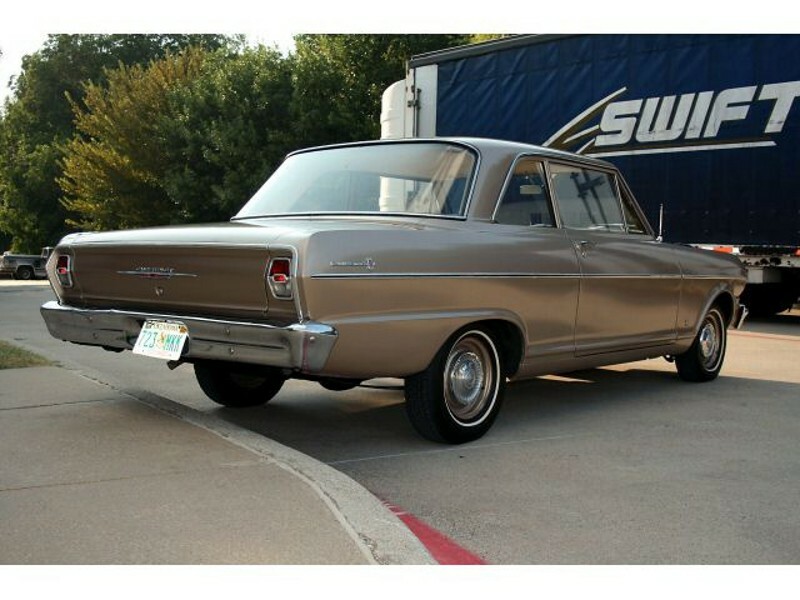 1964 г.
Chevrolet Nova 4.6 4Synchromesh 4MT Sedan 4MT 195 л.с. 1965 г. 1965 г.
Chevrolet Nova 4.6 4Synchromesh 4MT Sedan 4MT 220 л.с. 1965 г. 1965 г.
Chevrolet Nova 4.6 4Synchromesh 4MT Sedan 4MT 195 л.с. 1966 г. 1966 г.
Chevrolet Nova 4.6 4Synchromesh 4MT Sedan 4MT 220 л.с. 1966 г. 1966 г.
Chevrolet Nova 4.6 4Synchromesh 4MT Sedan 4MT 195 л.с. 1967 г. 1967 г.
Chevrolet Nova 4.6 4Synchromesh 4MT Wagon 4MT 195 л.с. 1966 г. 1966 г.
Chevrolet Nova 4.6 4Synchromesh 4MT Wagon 4MT 220 л.с. 1966 г. 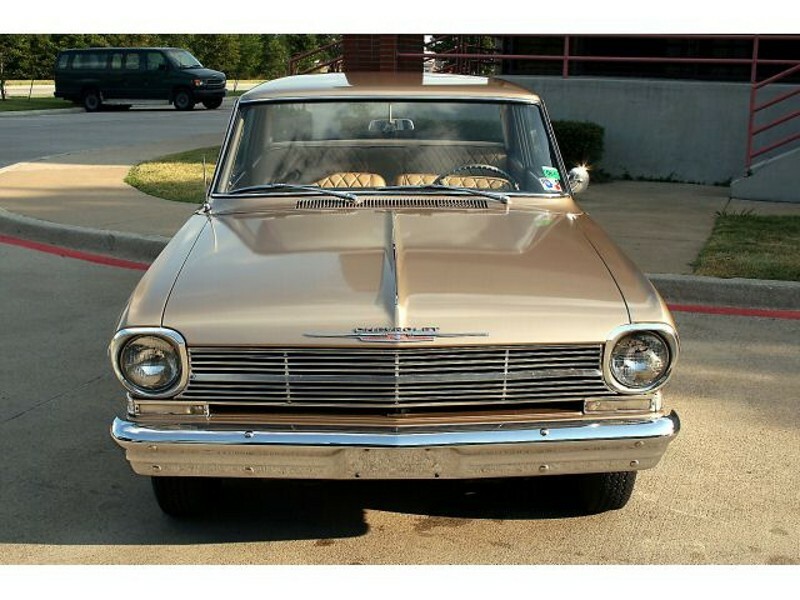 1966 г.
Chevrolet Nova 4.6 4Synchromesh 4MT Wagon 4MT 195 л.с. 1967 г. 1967 г.
Chevrolet Nova 4.6 Powerglide 2AT Coupe 2AT 195 л.с. 1966 г. 1966 г.
Chevrolet Nova 4.6 Powerglide 2AT Coupe 2AT 220 л.с. 1966 г. 1966 г.
Chevrolet Nova 4.6 Powerglide 2AT Coupe 2AT 195 л.с. 1967 г. 1967 г.
Chevrolet Nova 4.6 Powerglide 2AT Sedan 2AT 195 л.с. 1966 г. 1966 г.
Chevrolet Nova 4.6 Powerglide 2AT Sedan 2AT 220 л.с. 1966 г. 1966 г.
Chevrolet Nova 4.6 Powerglide 2AT Sedan 2AT 195 л.с. 1967 г. 1967 г.
Chevrolet Nova 4.6 Powerglide 2AT Wagon 2AT 195 л.с. 1966 г. 1966 г.
Chevrolet Nova 4.6 Powerglide 2AT Wagon 2AT 220 л.с. 1966 г. 1966 г.
Chevrolet Nova 4.6 Powerglide 2AT Wagon 2AT 195 л.с. 1967 г. 1967 г.
Chevrolet Nova 4.6 Powerglide 3AT Coupe 3AT 195 л.с. 1965 г. 1965 г.
Chevrolet Nova 4.6 Powerglide 3AT Coupe 3AT 220 л.с. 1965 г. 1965 г.
Chevrolet Nova 4.6 Powerglide 3AT Sedan 3AT 195 л.с. 1964 г. 1964 г.
Chevrolet Nova 4.6 Powerglide 3AT Sedan 3AT 195 л.с. 1965 г. 1965 г.
Chevrolet Nova 4.6 Powerglide 3AT Sedan 3AT 220 л.с. 1965 г. 1965 г.
Chevrolet Nova 4.6 Powerglide 3AT Wagon 3AT 195 л.с. 1964 г. 1964 г.
Chevrolet Nova 5.0 3MT 3MT Coupe 3MT 200 л.с. 1968 г. 1968 г.
Chevrolet Nova 5.0 3MT 3MT Coupe 3MT 200 л.с. 1969 г. 1969 г.
Chevrolet Nova 5.0 3MT 3MT Sedan 3MT 200 л.с. 1968 г. 1968 г.
Chevrolet Nova 5.0 4MT 4MT Coupe 4MT 200 л.с. 1968 г. 1968 г.
Chevrolet Nova 5.0 4MT 4MT Coupe 4MT 200 л.с. 1969 г. 1969 г.
Chevrolet Nova 5.0 4MT 4MT Sedan 4MT 200 л.с. 1968 г. 1968 г.
Chevrolet Nova 5.0 AT 3AT Coupe 3AT 125 л.с. 1979 г. 1979 г.
Chevrolet Nova 5.0 AT 3AT Coupe 3AT 130 л.с. 1979 г. 1979 г.
Chevrolet Nova 5.0 AT 3AT Sedan 3AT 125 л.с. 1979 г. 1979 г.
Chevrolet Nova 5.0 AT 3AT Sedan 3AT 130 л.с. 1979 г. 1979 г.
Chevrolet Nova 5.0 MT 3MT 2dr Coupe 3MT 140 л.с. 1976 г. 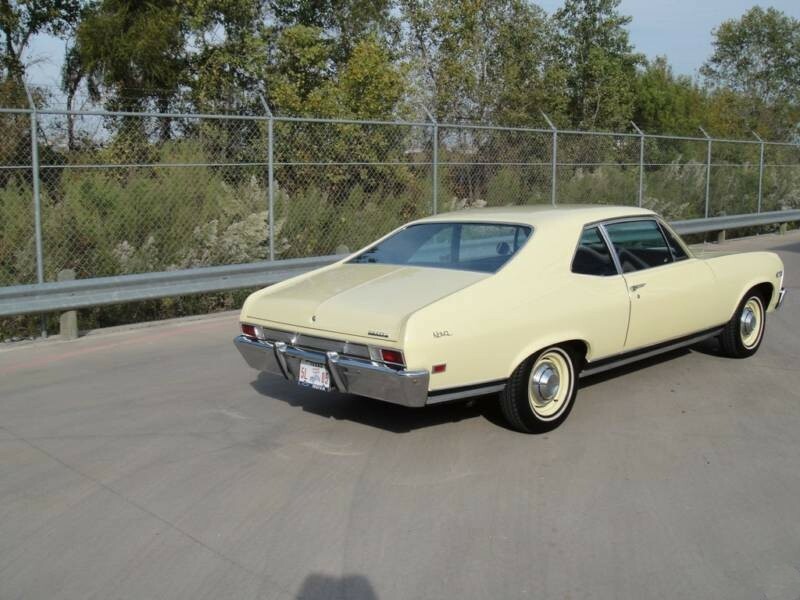 1976 г.
Chevrolet Nova 5.0 MT 3MT 2dr Coupe 3MT 135 л.с. 1977 г. 1977 г.
Chevrolet Nova 5.0 MT 3MT 2dr Coupe 3MT 145 л.с. 1977 г. 1977 г.
Chevrolet Nova 5.0 MT 3MT 4dr Sedan 3MT 140 л.с. 1976 г. 1976 г.
Chevrolet Nova 5.0 MT 3MT 4dr Sedan 3MT 135 л.с. 1977 г. 1977 г.
Chevrolet Nova 5.0 MT 3MT 4dr Sedan 3MT 145 л.с. 1977 г. 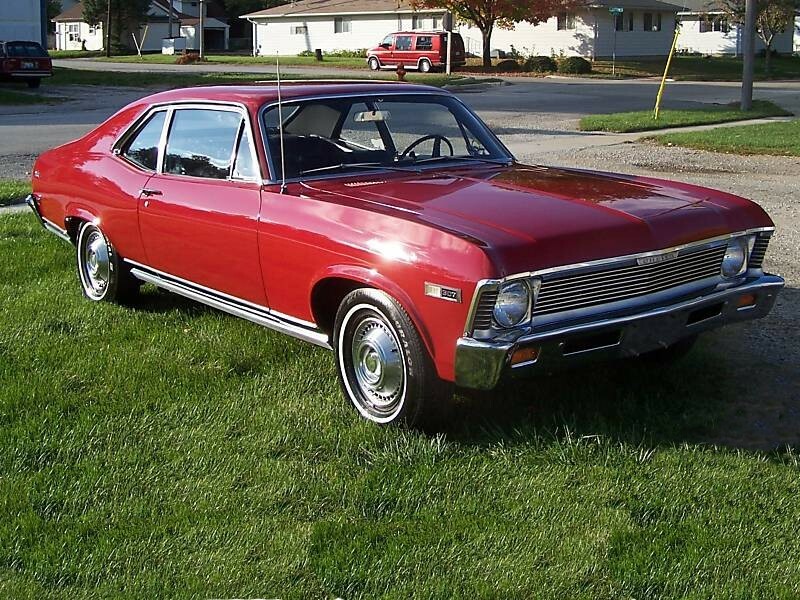 1977 г.
Chevrolet Nova 5.0 MT 3MT Coupe 3MT 200 л.с. 1970 г. 1972 г.
Chevrolet Nova 5.0 MT 3MT Coupe 3MT 115 л.с. 1973 г. 1974 г.
Chevrolet Nova 5.0 MT 3MT Coupe 3MT 125 л.с. 1979 г. 1979 г.
Chevrolet Nova 5.0 MT 3MT Sedan 3MT 200 л.с. 1970 г. 1972 г.
Chevrolet Nova 5.0 MT 3MT Sedan 3MT 115 л.с. 1973 г. 1974 г.
Chevrolet Nova 5.0 MT 3MT Sedan 3MT 135 л.с. 1978 г. 1978 г.
Chevrolet Nova 5.0 MT 3MT Sedan 3MT 145 л.с. 1978 г. 1978 г.
Chevrolet Nova 5.0 MT 3MT Sedan 3MT 125 л.с. 1979 г. 1979 г.
Chevrolet Nova 5.0 MT 4MT Coupe 4MT 130 л.с. 1979 г. 1979 г.
Chevrolet Nova 5.0 MT 4MT Sedan 4MT 130 л.с. 1979 г. 1979 г.
Chevrolet Nova 5.0 Powerglide 2AT Coupe 2AT 200 л.с. 1968 г. 1968 г.
Chevrolet Nova 5.0 Powerglide 2AT Coupe 2AT 200 л.с. 1969 г. 1969 г.
Chevrolet Nova 5.0 Powerglide 2AT Coupe 2AT 200 л.с. 1970 г. 1972 г.
Chevrolet Nova 5.0 Powerglide 2AT Sedan 2AT 200 л.с. 1968 г. 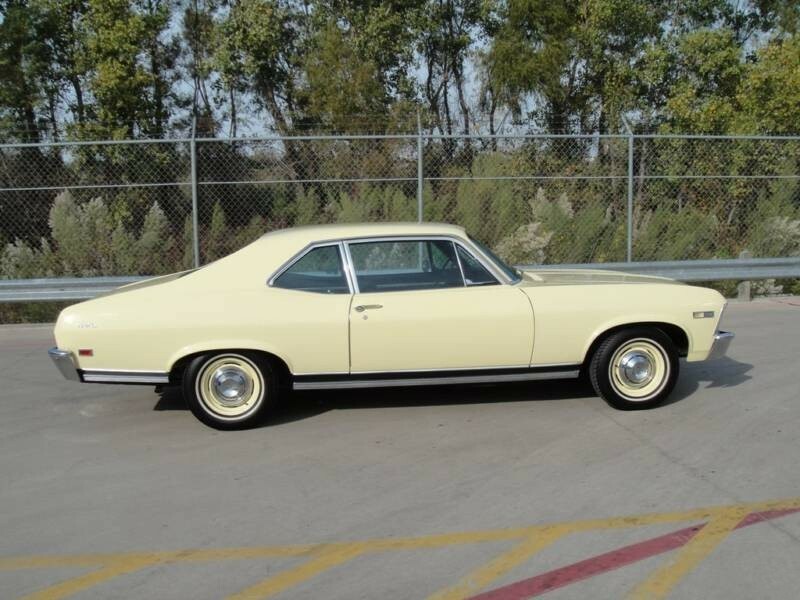 1968 г.
Chevrolet Nova 5.0 Powerglide 2AT Sedan 2AT 200 л.с. 1970 г. 1972 г.
Chevrolet Nova 5.0 Turbo Hydra-Matic 3AT 2dr Coupe 3AT 140 л.с. 1976 г. 1976 г.
Chevrolet Nova 5.0 Turbo Hydra-Matic 3AT 2dr Coupe 3AT 135 л.с. 1977 г. 1977 г.
Chevrolet Nova 5.0 Turbo Hydra-Matic 3AT 2dr Coupe 3AT 145 л.с. 1977 г. 1977 г.
Chevrolet Nova 5.0 Turbo Hydra-Matic 3AT 4dr Sedan 3AT 140 л.с. 1976 г. 1976 г.
Chevrolet Nova 5.0 Turbo Hydra-Matic 3AT 4dr Sedan 3AT 135 л.с. 1977 г. 1977 г.
Chevrolet Nova 5.0 Turbo Hydra-Matic 3AT 4dr Sedan 3AT 145 л.с. 1977 г. 1977 г.
Chevrolet Nova 5.0 Turbo Hydra-Matic 3AT Coupe 3AT 200 л.с. 1969 г. 1969 г.
Chevrolet Nova 5.0 Turbo Hydra-Matic 3AT Coupe 3AT 200 л.с. 1970 г. 1972 г.
Chevrolet Nova 5.0 Turbo Hydra-Matic 3AT Coupe 3AT 115 л.с. 1973 г. 1974 г.
Chevrolet Nova 5.0 Turbo Hydra-Matic 3AT Sedan 3AT 200 л.с. 1970 г. 1972 г.
Chevrolet Nova 5.0 Turbo Hydra-Matic 3AT Sedan 3AT 115 л.с. 1973 г. 1974 г.
Chevrolet Nova 5.0 Turbo Hydra-Matic 3AT Sedan 3AT 135 л.с. 1978 г. 1978 г.
Chevrolet Nova 5.0 Turbo Hydra-Matic 3AT Sedan 3AT 145 л.с. 1978 г. 1978 г.
Chevrolet Nova 5.4 3MT 3MT Coupe 3MT 275 л.с. 1968 г. 1968 г.
Chevrolet Nova 5.4 3MT 3MT Sedan 3MT 275 л.с. 1968 г. 1968 г.
Chevrolet Nova 5.4 3Synchromesh 3MT Coupe 3MT 250 л.с. 1965 г. 1965 г.
Chevrolet Nova 5.4 3Synchromesh 3MT Coupe 3MT 300 л.с. 1965 г. 1965 г.
Chevrolet Nova 5.4 3Synchromesh 3MT Coupe 3MT 275 л.с. 1966 г. 1966 г.
Chevrolet Nova 5.4 3Synchromesh 3MT Coupe 3MT 275 л.с. 1967 г. 1967 г.
Chevrolet Nova 5.4 3Synchromesh 3MT Sedan 3MT 250 л.с. 1965 г. 1965 г.
Chevrolet Nova 5.4 3Synchromesh 3MT Sedan 3MT 300 л.с. 1965 г. 1965 г.
Chevrolet Nova 5.4 3Synchromesh 3MT Sedan 3MT 275 л.с. 1966 г. 1966 г.
Chevrolet Nova 5.4 3Synchromesh 3MT Sedan 3MT 275 л.с. 1967 г. 1967 г.
Chevrolet Nova 5.4 3Synchromesh 3MT Wagon 3MT 275 л.с. 1966 г. 1966 г.
Chevrolet Nova 5.4 3Synchromesh 3MT Wagon 3MT 275 л.с. 1967 г. 1967 г.
Chevrolet Nova 5.4 4MT 4MT Coupe 4MT 275 л.с. 1968 г. 1968 г.
Chevrolet Nova 5.4 4MT 4MT Sedan 4MT 275 л.с. 1968 г. 1968 г.
Chevrolet Nova 5.4 4Synchromesh 4MT Coupe 4MT 250 л.с. 1965 г. 1965 г.
Chevrolet Nova 5.4 4Synchromesh 4MT Coupe 4MT 300 л.с. 1965 г. 1965 г.
Chevrolet Nova 5.4 4Synchromesh 4MT Coupe 4MT 275 л.с. 1966 г. 1966 г.
Chevrolet Nova 5.4 4Synchromesh 4MT Coupe 4MT 275 л.с. 1967 г. 1967 г.
Chevrolet Nova 5.4 4Synchromesh 4MT Sedan 4MT 250 л.с. 1965 г. 1965 г.
Chevrolet Nova 5.4 4Synchromesh 4MT Sedan 4MT 300 л.с. 1965 г. 1965 г.
Chevrolet Nova 5.4 4Synchromesh 4MT Sedan 4MT 275 л.с. 1966 г. 1966 г.
Chevrolet Nova 5.4 4Synchromesh 4MT Sedan 4MT 275 л.с. 1967 г. 1967 г.
Chevrolet Nova 5.4 4Synchromesh 4MT Wagon 4MT 275 л.с. 1966 г. 1966 г.
Chevrolet Nova 5.4 4Synchromesh 4MT Wagon 4MT 275 л.с. 1967 г. 1967 г.
Chevrolet Nova 5.4 Powerglide 2AT Coupe 2AT 275 л.с. 1966 г. 1966 г.
Chevrolet Nova 5.4 Powerglide 2AT Coupe 2AT 350 л.с. 1966 г. 1966 г.
Chevrolet Nova 5.4 Powerglide 2AT Coupe 2AT 275 л.с. 1967 г. 1967 г.
Chevrolet Nova 5.4 Powerglide 2AT Coupe 2AT 275 л.с. 1968 г. 1968 г.
Chevrolet Nova 5.4 Powerglide 2AT Sedan 2AT 275 л.с. 1966 г. 1966 г.
Chevrolet Nova 5.4 Powerglide 2AT Sedan 2AT 350 л.с. 1966 г. 1966 г.
Chevrolet Nova 5.4 Powerglide 2AT Sedan 2AT 275 л.с. 1967 г. 1967 г.
Chevrolet Nova 5.4 Powerglide 2AT Sedan 2AT 275 л.с. 1968 г. 1968 г.
Chevrolet Nova 5.4 Powerglide 2AT Wagon 2AT 275 л.с. 1966 г. 1966 г.
Chevrolet Nova 5.4 Powerglide 2AT Wagon 2AT 350 л.с. 1966 г. 1966 г.
Chevrolet Nova 5.4 Powerglide 2AT Wagon 2AT 275 л.с. 1967 г. 1967 г.
Chevrolet Nova 5.4 Powerglide 3AT Coupe 3AT 250 л.с. 1965 г. 1965 г.
Chevrolet Nova 5.4 Powerglide 3AT Coupe 3AT 300 л.с. 1965 г. 1965 г.
Chevrolet Nova 5.4 Powerglide 3AT Sedan 3AT 250 л.с. 1965 г. 1965 г.
Chevrolet Nova 5.4 Powerglide 3AT Sedan 3AT 300 л.с. 1965 г. 1965 г.
Chevrolet Nova 5.4 Synchromesh 3MT Coupe 3MT 350 л.с. 1966 г. 1966 г.
Chevrolet Nova 5.4 Synchromesh 3MT Sedan 3MT 350 л.с. 1966 г. 1966 г.
Chevrolet Nova 5.4 Synchromesh 3MT Wagon 3MT 350 л.с. 1966 г. 1966 г.
Chevrolet Nova 5.7 3MT 3MT Coupe 3MT 295 л.с. 1968 г. 1968 г.
Chevrolet Nova 5.7 3MT 3MT Coupe 3MT 255 л.с. 1969 г. 1969 г.
Chevrolet Nova 5.7 3MT 3MT Coupe 3MT 300 л.с. 1969 г. 1969 г.
Chevrolet Nova 5.7 3MT 3MT Coupe 3MT 250 л.с. 1970 г. 1972 г.
Chevrolet Nova 5.7 3MT 3MT Sedan 3MT 295 л.с. 1968 г. 1968 г.
Chevrolet Nova 5.7 3MT 3MT Sedan 3MT 250 л.с. 1970 г. 1972 г.
Chevrolet Nova 5.7 4MT 4MT Coupe 4MT 295 л.с. 1968 г. 1968 г.
Chevrolet Nova 5.7 4MT 4MT Coupe 4MT 255 л.с. 1969 г. 1969 г.
Chevrolet Nova 5.7 4MT 4MT Coupe 4MT 300 л.с. 1969 г. 1969 г.
Chevrolet Nova 5.7 4MT 4MT Coupe 4MT 250 л.с. 1970 г. 1972 г.
Chevrolet Nova 5.7 4MT 4MT Sedan 4MT 295 л.с. 1968 г. 1968 г.
Chevrolet Nova 5.7 4MT 4MT Sedan 4MT 250 л.с. 1970 г. 1972 г.
Chevrolet Nova 5.7 AT 3AT Coupe 3AT 165 л.с. 1979 г. 1979 г.
Chevrolet Nova 5.7 AT 3AT Sedan 3AT 165 л.с. 1979 г. 1979 г.
Chevrolet Nova 5.7 MT 3MT Coupe 3MT 145 л.с. 1973 г. 1974 г.
Chevrolet Nova 5.7 MT 3MT Coupe 3MT 145 л.с. 1975 г. 1975 г.
Chevrolet Nova 5.7 MT 3MT Sedan 3MT 145 л.с. 1973 г. 1974 г.
Chevrolet Nova 5.7 MT 3MT Sedan 3MT 145 л.с. 1975 г. 1975 г.
Chevrolet Nova 5.7 MT 4MT 2dr Coupe 4MT 165 л.с. 1976 г. 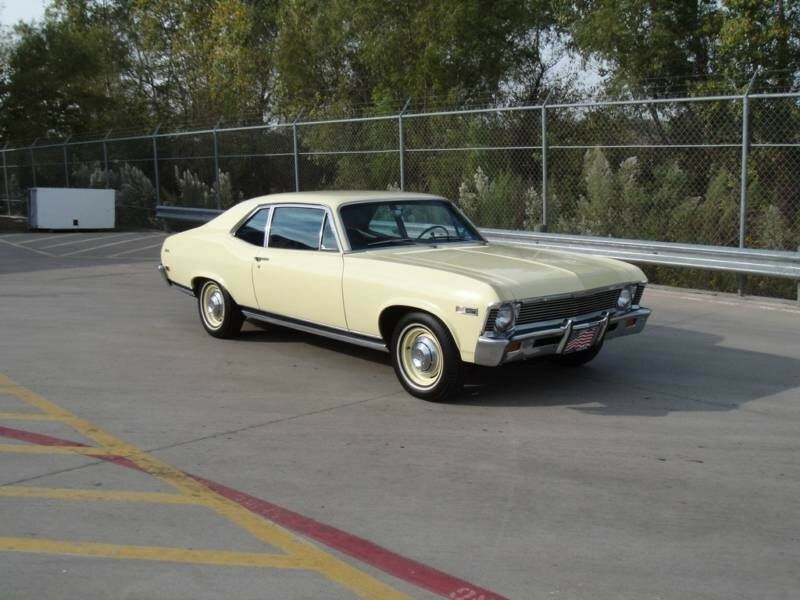 1976 г.
Chevrolet Nova 5.7 MT 4MT 2dr Coupe 4MT 160 л.с. 1977 г. 1977 г.
Chevrolet Nova 5.7 MT 4MT 2dr Coupe 4MT 170 л.с. 1977 г. 1977 г.
Chevrolet Nova 5.7 MT 4MT 4dr Sedan 4MT 165 л.с. 1976 г. 1976 г.
Chevrolet Nova 5.7 MT 4MT 4dr Sedan 4MT 160 л.с. 1977 г. 1977 г.
Chevrolet Nova 5.7 MT 4MT 4dr Sedan 4MT 170 л.с. 1977 г. 1977 г.
Chevrolet Nova 5.7 MT 4MT Coupe 4MT 300 л.с. 1970 г. 1972 г.
Chevrolet Nova 5.7 MT 4MT Coupe 4MT 175 л.с. 1973 г. 1974 г.
Chevrolet Nova 5.7 MT 4MT Coupe 4MT 155 л.с. 1975 г. 1975 г.
Chevrolet Nova 5.7 MT 4MT Sedan 4MT 300 л.с. 1970 г. 1972 г.
Chevrolet Nova 5.7 MT 4MT Sedan 4MT 175 л.с. 1973 г. 1974 г.
Chevrolet Nova 5.7 MT 4MT Sedan 4MT 155 л.с. 1975 г. 1975 г.
Chevrolet Nova 5.7 MT HD 3MT Coupe 3MT 295 л.с. 1968 г. 1968 г.
Chevrolet Nova 5.7 Powerglide 2AT Coupe 2AT 295 л.с. 1968 г. 1968 г.
Chevrolet Nova 5.7 Powerglide 2AT Coupe 2AT 255 л.с. 1969 г. 1969 г.
Chevrolet Nova 5.7 Powerglide 2AT Coupe 2AT 300 л.с. 1969 г. 1969 г.
Chevrolet Nova 5.7 Powerglide 2AT Coupe 2AT 250 л.с. 1970 г. 1972 г.
Chevrolet Nova 5.7 Powerglide 2AT Coupe 2AT 300 л.с. 1970 г. 1972 г.
Chevrolet Nova 5.7 Powerglide 2AT Sedan 2AT 295 л.с. 1968 г. 1968 г.
Chevrolet Nova 5.7 Powerglide 2AT Sedan 2AT 250 л.с. 1970 г. 1972 г.
Chevrolet Nova 5.7 Powerglide 2AT Sedan 2AT 300 л.с. 1970 г. 1972 г.
Chevrolet Nova 5.7 Turbo Hydra-Matic 3AT 2dr Coupe 3AT 165 л.с. 1976 г. 1976 г.
Chevrolet Nova 5.7 Turbo Hydra-Matic 3AT 2dr Coupe 3AT 160 л.с. 1977 г. 1977 г.
Chevrolet Nova 5.7 Turbo Hydra-Matic 3AT 2dr Coupe 3AT 170 л.с. 1977 г. 1977 г.
Chevrolet Nova 5.7 Turbo Hydra-Matic 3AT 4dr Sedan 3AT 165 л.с. 1976 г. 1976 г.
Chevrolet Nova 5.7 Turbo Hydra-Matic 3AT 4dr Sedan 3AT 160 л.с. 1977 г. 1977 г.
Chevrolet Nova 5.7 Turbo Hydra-Matic 3AT 4dr Sedan 3AT 170 л.с. 1977 г. 1977 г.
Chevrolet Nova 5.7 Turbo Hydra-Matic 3AT Coupe 3AT 255 л.с. 1969 г. 1969 г.
Chevrolet Nova 5.7 Turbo Hydra-Matic 3AT Coupe 3AT 300 л.с. 1969 г. 1969 г.
Chevrolet Nova 5.7 Turbo Hydra-Matic 3AT Coupe 3AT 250 л.с. 1970 г. 1972 г.
Chevrolet Nova 5.7 Turbo Hydra-Matic 3AT Coupe 3AT 300 л.с. 1970 г. 1972 г.
Chevrolet Nova 5.7 Turbo Hydra-Matic 3AT Coupe 3AT 145 л.с. 1973 г. 1974 г.
Chevrolet Nova 5.7 Turbo Hydra-Matic 3AT Coupe 3AT 175 л.с. 1973 г. 1974 г.
Chevrolet Nova 5.7 Turbo Hydra-Matic 3AT Coupe 3AT 145 л.с. 1975 г. 1975 г.
Chevrolet Nova 5.7 Turbo Hydra-Matic 3AT Coupe 3AT 155 л.с. 1975 г. 1975 г.
Chevrolet Nova 5.7 Turbo Hydra-Matic 3AT Sedan 3AT 250 л.с. 1970 г. 1972 г.
Chevrolet Nova 5.7 Turbo Hydra-Matic 3AT Sedan 3AT 300 л.с. 1970 г. 1972 г.
Chevrolet Nova 5.7 Turbo Hydra-Matic 3AT Sedan 3AT 145 л.с. 1973 г. 1974 г.
Chevrolet Nova 5.7 Turbo Hydra-Matic 3AT Sedan 3AT 175 л.с. 1973 г. 1974 г.
Chevrolet Nova 5.7 Turbo Hydra-Matic 3AT Sedan 3AT 145 л.с. 1975 г. 1975 г.
Chevrolet Nova 5.7 Turbo Hydra-Matic 3AT Sedan 3AT 155 л.с. 1975 г. 1975 г.
Chevrolet Nova 5.7 Turbo Hydra-Matic 3AT Sedan 3AT 160 л.с. 1978 г. 1978 г.